Article first published as Pancake Puffs on Blogcritics. Now before I go on, Ebelskiver and pancake batter are two different things. 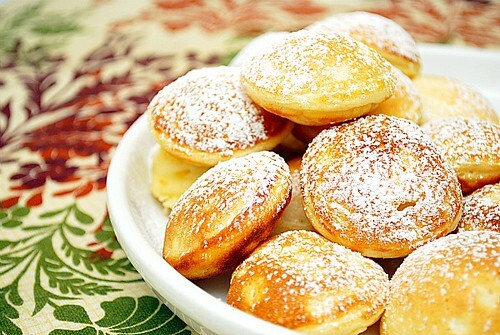 Ebelskiver batter is much lighter, similar to popovers whereas pancake batter is a bit heavier and denser. I've been using my Ebelskiver pan with pancake batter which is perfectly fine and they still come out light and fluffy. I have yet to make true Ebelskivers with a proper batter, which involves wheat flour, buttermilk, cream, eggs and sometimes yeast. 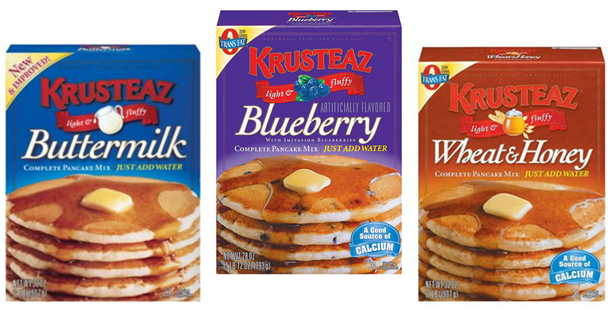 But for now, using a store-bought or homemade pancake mix works just as well. This is a pretty basic recipe but you can jazz it up by incorporating sweet and/or savory ingredients. We happen to like them plain, sprinkled with powdered sugar and dipped in warm maple syrup. Yum! Maybe I'll venture out and add some chocolate chips, fresh fruit or even dulce de leche for something sweet. And for savory ideas, how about trying them with crumbled bacon, shredded cheese, sautéed veggies, etc? Heat ebleskiver pan over medium high heat. Meanwhile, whisk together the eggs, melted butter and the buttermilk in a large bowl. Add the pancake mix and using a whisk, mix the batter just enough to bring it together. Don't try to work all the lumps out. Check to see that the ebleskiver pan is hot by placing a few drops of water onto to the pan. The pan is ready if the water dances across the surface. Lightly grease the pan with cooking spray. Gently pour in 1 tablespoon into each well of the ebelskiver pan. When bubbles begin to set around the edges of the Pancake Puff and the griddle-side of the Pancake Puff is golden, gently flip them using skewers. Continue to cook 2 to 3 minutes or until the Pancake Puffs are set. Serve immediately and sprinkle with powdered sugar. Serve with warm maple syrup to dip in.